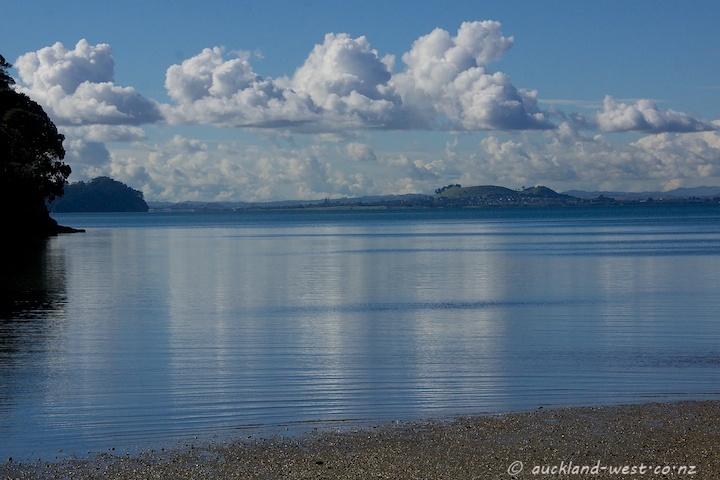 The Manukau Harbour lies ever so smooth, reflecting the billowing clouds above. Mangere Mountain in the centre. This is so beautiful. We are having rain – not so nice. A wonderful landscape and a great view. That does look quiet. Nice.